Holding outdoor events has now become one of the top trends in celebrating occasions and festivities. It provides a great and refreshing venue for all guests as it can be set up anywhere: the beach, your garden, and many more great open-air spaces. Often, guests remember the occasion simply because the beautiful scenic environment you chose struck a chord with them. Of course, you will want various settings for every occasion to make it unique. You do not always have to celebrate outdoors. Thus, the most practical thing to do is to rent a tent instead of buy one. 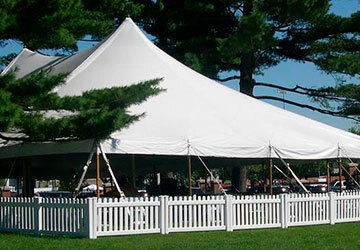 Tent rental companies make your special events more special. They lighten up your load and allow you to sit back and relax without fussing over small details. Before you get excited with calling up potential tent rental companies, you have to ensure that your game plan is all set. You should have a venue in mind. If it needs to be reserved, do so immediately. Additionally, having a theme and a list of the particulars is also essential. This will help you decide which company meets your party needs. The important thing for you to do is to find a credible and suitable company that will provide the most essential element in your outdoor party: the tent. A lot of research should go into this to ensure that your chosen company is capable of providing you with first-rate services. It also helps to ask your relatives or friends for recommendations. Companies like Texas Tent are some of the most reputable Dallas area party rental companies. They provide excellent professional services as well as unique packages to help you with your preparations. Special occasions are called that simply because they are celebrated only once. Make them perfect by choosing only the best.